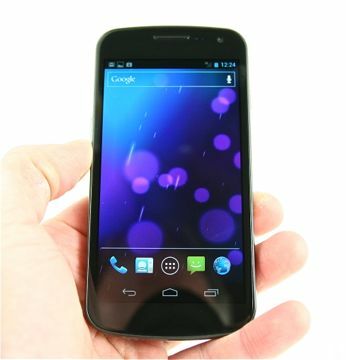 The Galaxy Nexus, being sold by Verizon Wireless, is the first Android 4.0 Ice Cream Sandwich smartphone. Phone Scoop's full review tackles the new operating system in depth as well as the hardware from Samsung. Here are our thoughts. The latest Nexus device — embodying a purer Android experience — comes from Samsung in the Galaxy Nexus. If you're looking for the most up-to-date Android phone, the Galaxy Nexus is it. As the first device to ship in the U.S. with Android 4.0 Ice Cream Sandwich, it represents the new vanguard, the new standard to which all other Android phones will aspire. But is it really worth all the idolatry? Sprint has published a web site talking up its forthcoming Long Term Evolution 4G network. As part of the site, it revealed that it will sell the Samsung Galaxy Nexus device with LTE support. The latest version of Android offers a lot of performance upgrades and some new whiz-bang features. Phone Scoop takes it for a spin on the Galaxy Nexus. Google today began pushing Android 4.2.1 to the Nexus 4, Nexus 10, and other Nexus-branded devices. The minor update fixes a bug that eliminated the month of December from the contact application. All of the Long Term Evolution 4G devices released by Sprint this year will use only its 1900MHz spectrum, said Sprint spokesperson David Owen in an interview with Phone Scoop. Right now, Sprint doesn't have access to Clearwire's spectrum nor LightSquared's spectrum for LTE services, so it will repurpose its 1900MHz spectrum assets to handle both its current CDMA voice/data network and future LTE data network. Verizon Wireless will sell the Galaxy Nexus smartphone for $299.99 with a new contract, reports the Wall Street Journal. Citing sources familiar with Verizon's plans, the device will go on sale later this month and will require a two-year commitment in order to get the subsidized sale price. Anyone else having problems connecting via USB? I was trying to load some music onto my Nexus but the computer doesn't recognize my phone. I tried both a Mac and a PC and neither will work. Most of the negative comments on the Nexus focus on the phone; its sound, call strength. Then the reviewer seems to highly recommend the device. Perhaps it should be called the Nexus Pocket Computer and drop the phone part. After all, who uses a smartphone as a phone anymore? Been reading how the Galaxy Nexus won't simply sync up with all my FB contacts like my any Moto Droid will easily do. One forum recommended I get the app HaxSync. (I think I have to also 1st install the official FB app). Any info on if this is the only (or the best) way to get all my FB contacts (with their pix) on the Galaxy Nexus I'm about to get. Is there any reason to get the Droid Razor instead... Still wanting the G.Nexus at this point. A Valid Review After 1 Day? I quit reading the article as soon as the writer mentioned that the review was based off of one day of use. I don't question any (-)'s that may be in here; I just feel that a worthy "user review" should be more like a full week than one day. I've had the Verizon Galaxy Nexus for one day, the same as every other reviewer out there. I've been using the global version of the Samsung Galaxy Nexus for about a week.